NASA photo of Apollo One astronauts arriving for test. 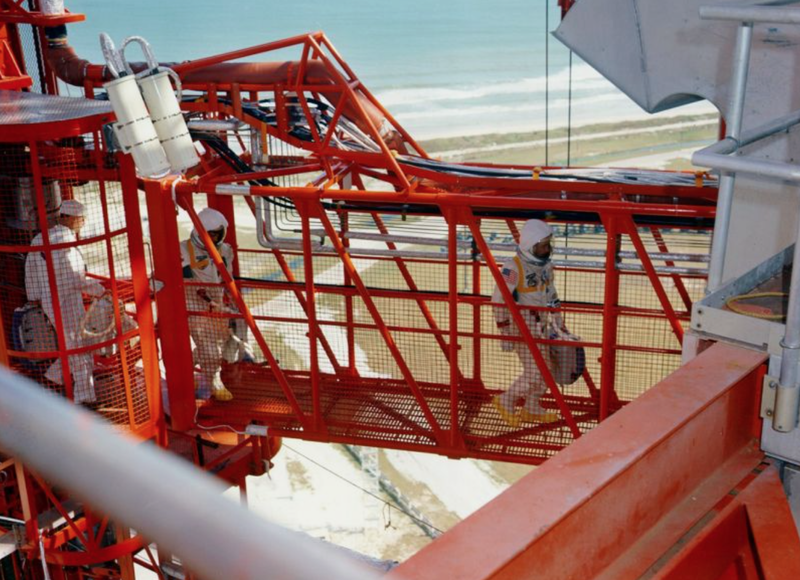 The Apollo One crew was entering their capsule for a critical test on America's way to the moon. Later, fire swept through the capsule and the astronauts: Grissom, White and Chaffee, we all killed. I'll never forget ABC News breaking in with the bulletin while I was watching television with my family. If I recall correctly, that was a Friday, also. Ars Technica and my friend, Eric Berger.